Rainbow Firm is a brilliant display of color without the use of pigments or dyes. It is a completely new and unique series of decorative plastic film. 120 layers of two or more different polymers. These layers separate into the colors of the spectrum when light is reflected from the film. The effect is familiar in a soap bubble and in a thin film of gasoline floating on water. The observed colors vary as one changes the angle of observation. Rainbow film, therefore achieve a wide variety of color and visual effects. Such colors can also be seen on mother-of pearl, opals and peacock feathers. Rainbow Film creates its own distinct color display. 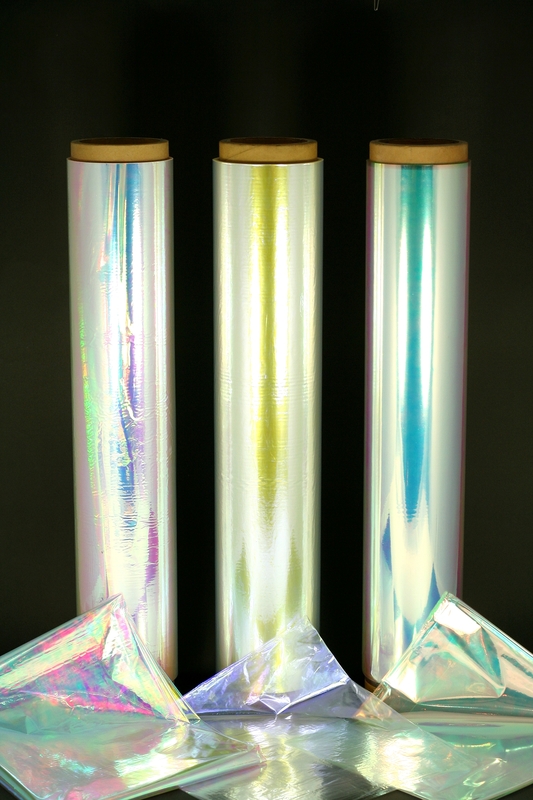 Rainbow film is a unique material for decorative appeal.